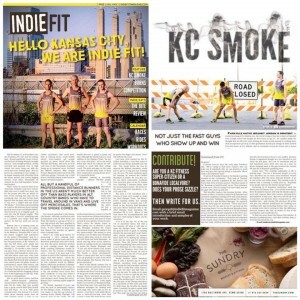 The Kansas City Smoke was published in the first edition of Indie Fit. We’ve been sponsoring them for approximately one year and are very proud to have our logo on their jersey’s. They practice hard, work hard, but are never hard to find when you need a helping hand in the running community. Take some time to look up this article or pick up a copy of the magazine. Get to know a little more about the heart and soul of a group of runner’s that are as humble as they are fast.